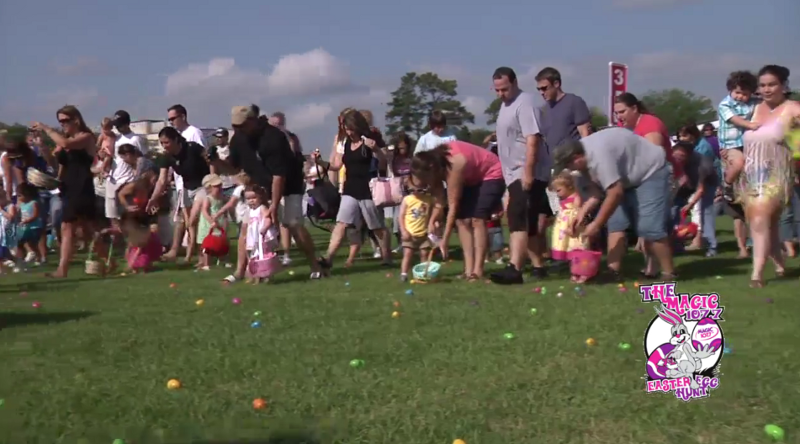 The Magic 107.7 Easter Egg Hunt features over 20,000 Easter eggs for children of all ages to hunt during staggered times along with other games and activities. The event takes place on Saturday, March 26th, 2016 beginning at 9:30 AM and going until 12 PM at Reiter Park in Longwood. The event will have over 20 booths setup that will consist of moon walks, games, pictures with the Easter Bunny, competitons, and more (see video below). Although the entire event is free, the organizers ask that you please bring something for Families in Transition (FiT) that helps families who are between homes and are in desperate need of basic items. This entry was posted in Family and tagged activities, april, easter, holidays, longwood. Bookmark the permalink.